Let me get this ol' chestnut out of the way... I've been super busy. Hence zero blog updates. Sorry. Now on with the fun stuff! 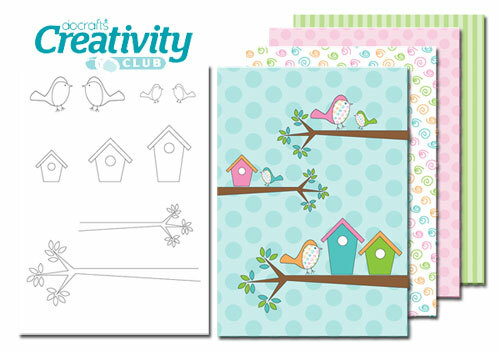 Recently I've been working on some printable downloads exclusively for members of the Creativity Club at docrafts.com and while you can't grab them directly from here I can tease you with them! If you're a member (or would like to be) you can grab them right NOW! In other news I've started contributing on a foodie blog! I'm quite excited about it and I hope you'll pop over to the Chicken Keeper's Kitchen and take a peek!